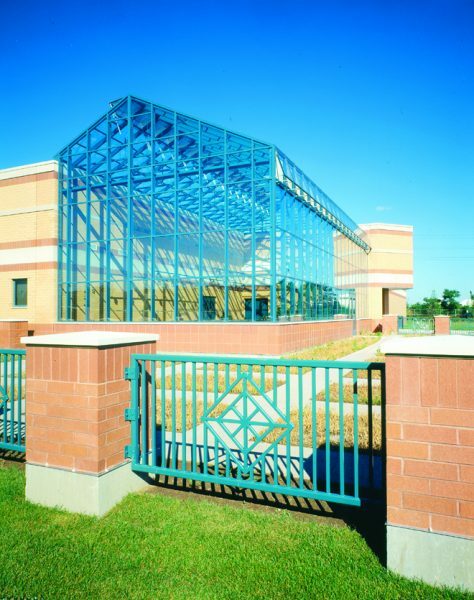 The Arturo Velasquez Institute (AVI) is the satellite campus of Richard J. Daley College, a community college serving the Chicago metro area with a variety of associate degree programs. The greenhouse at Arturo Velasquez Institute is more than just an extension of learning at Daley College, it’s a gardening resource for the entire Chicago community. 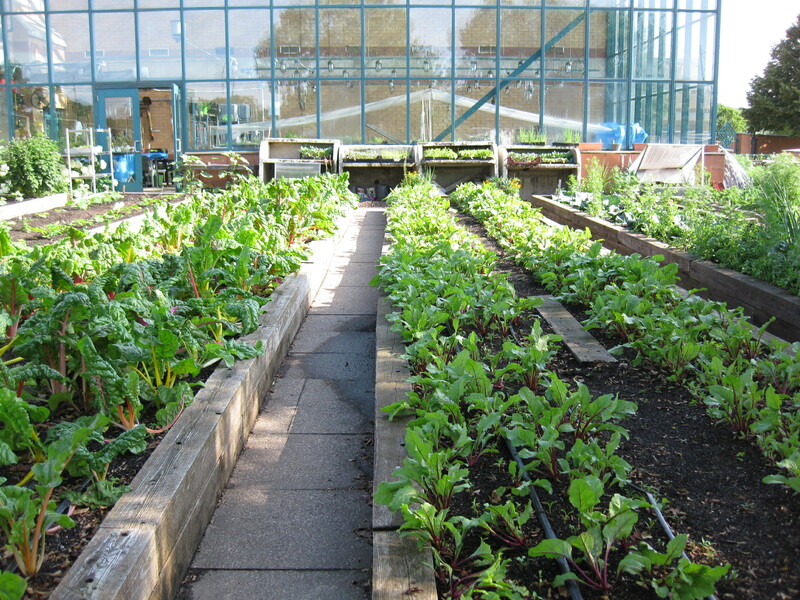 Whether you’re a backyard gardener, you have a Chicago community garden plot, or you plant on a porch, rooftop or at a school garden AVI can help make your garden grow. 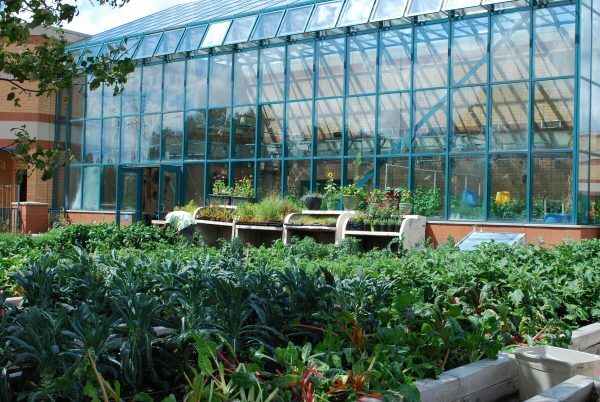 The botanical garden and greenhouse at AVI has something to offer in the way of classes and hands on experience to help residents of the greater Chicago area become sustainable farmers or gardeners – if even on a small scale. The greenhouse at AVI was built by Crystal Structures. 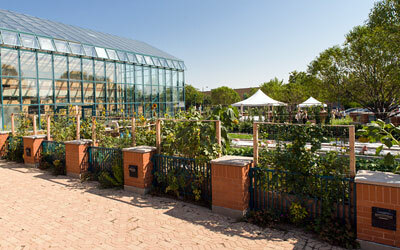 The green house is 60′ long and 30′ across. The ridge rises to approximately 30′, above the adjacent building. 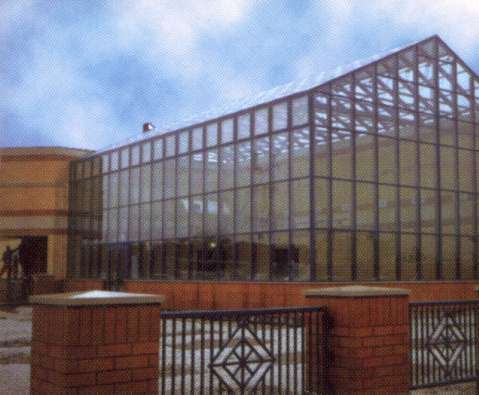 The greenhouse is well vented and has many popular greenhouse accessories to make controlling the inside environment easy.